Every building owner or occupant will need a few tradespeople to help keep the building in perfect working condition. One such trade person who is exceedingly important is a plumber. 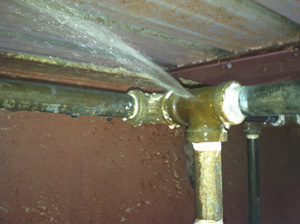 A plumber performs the very important task of keeping the water connections in the home in working order. · Staying within the legal regulations of the country or location that he works in. Interestingly, according to statistics from the United States Department of Labor, the median pay for plumbers in the year 2010 was $22.43 every hour. It can become extremely important for you to have a plumber who can be readily accessed when you have some problems with your pipes and tubes. Keeping a few practical tips to choose a plumber can go a long way in helping you enjoy a drip free dwelling. One of the easiest things to do and the simplest as well is to ask your neighbors and friends for recommendations. For sure, they would be using plumbing services, and listening to their opinions can go a long way in helping you choose the perfect plumber. They may also be able to give you tips and suggestions on how much he charges and the quality of work that he renders. Thus, seek personal recommendations actively. You can locate quite a few plumbers by simply conducting a search on the Internet for them. All you need to do is to enter search terms such as ‘plumbers in Minnesota’ or wherever you may be living. But once you have shortlisted a few candidates, you need to call them up and assess whether they sound professional and responsive over the telephone. Probably thereafter, you could trust them with small jobs first and then move on to bigger jobs once you have developed a certain sense and level of confidence in the services. Most regions in the USA need trades persons to be certified. Therefore, asking for their license number or registration number is an extremely good idea because this will give you a sense of trust that a plumber is registered with your local business bureau. You could also extend this to finding out whether the plumber is registered with professional trade associations or bodies. For instance, the Institute of Plumbing or the Association of Plumbers does have its own list of plumbers. One of the important tips to choose a plumber is to ask him how long he has been in the business. A good plumber will always give you client recommendations and details of how long he has been in the business. Rely on your visual examination of the plumber as well. If he looks neat and clean and is carrying his tools, which should also look neat and clean; in a very organized manner then he is probably the right man for the job.